Feel Bach! 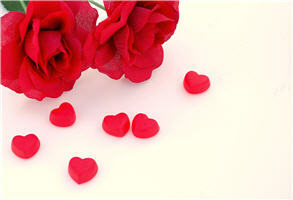 flower remedies blog: Longing for love this Valentine’s Day? Whether you’re wishing for a sweetheart to come into your life this Valentine’s Day; longing for a more loving or stable relationship with a mate; or wishing for a more loving connection with parents, children, or siblings, Feel Bach can help. Perhaps you’re feeling insecure and unsure of yourself, so you’re unable to reach out and offer your love or friendship. Perhaps you push others away by being critical – which is merely an outward method of disguising your own insecurity. If your personal relationships are strained, you are probably refusing to accept help and guidance from your higher self. Your energies are out of balance, preventing you from accepting yourself – and accepting the fact that yes, you are worth loving. Love and Relationship, one of Feel Bach’s blends of Dr. Bach’s flower essences, will help. The Love & Relationship blend will allow you to recognize your own worth, release you from the need to criticize others, and help you relate to family, friends (and future sweethearts) in a loving and accepting manner. As we approach Valentine’s Day, let Love and Relationship give you the confidence and the courage to approach that special someone – or to accept that Valentine invitation with joy and anticipation of good things to come. If you’re already in a relationship, let it free you to show your love and acceptance. To get you off to a good start, Feel Bach has created a coupon code "VAL-17" which will give you $3.00 off Love and Relationships until February 14.